Oil changes and tune-up services are the key to keeping your car in road ready condition. At Milex, we know what it takes to keep a car running in tip-top condition. Basic car services, such as oil changes, spark plug replacements, and fuel filter replacement, are all easy ways to keep your car humming and road-ready. There’s more to a tune-up than the switch of a button. A properly tuned engine provides power to the wheels, good fuel economy, and the lowest level of emissions. The most important part of preventive maintenance is keeping up with your regular engine oil changes. It does not take long for your engine oil to become contaminated with environmental elements, such as dust, rust, and even metallic deposits. That is why Milex, along with your vehicle’s manufacturer, recommend regular engine oil and filter maintenance. 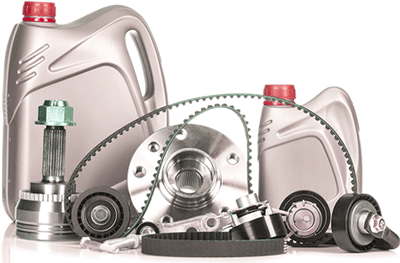 The engine oil supplies lubrication and cooling to essential components of your vehicle. Engine oil and filters can also keep your engine clean and running smoothly. Without regular maintenance, parts within your engine can be damaged by contaminated oil or worn down if the oil level is low. An engine oil and filter service from Milex is a great, low-cost way to provide your vehicle with preventive maintenance and keep it road-ready. What makes these services effective is when they are completed regularly. Getting regular oil changes is simple: All you have to do is schedule an appointment and leave the rest to our talented Milex Care technicians. For more information about our car oil change and tune up services, find your nearest Milex today. What are symptoms that you may need a tune up? What does A Tune Up Do for Your Car? Proper maintenance goes beyond just regular oil changes, but includes maintaining all fluids, replacing worn out parts and basic engine maintenance. A tune-up will restore power and return your vehicle to original operating state. Regular tune ups involve a thorough inspection of your engine. The inspection will provide an idea on needed repairs/recommendations. When Should I Service my Car for a Tune-up? A proper tune-up can prolong the life of your engine, improve performance and gas mileage. We recommend a vehicle tune up every 30,000 or as required by manufacturer, when you notice poor gas mileage, difficult starting conditions or a rough running engine.